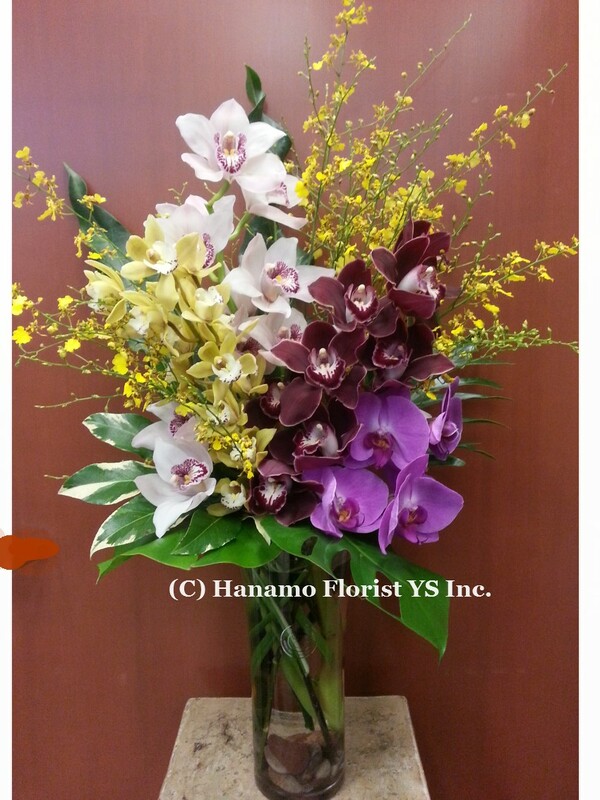 VASE316 Design by Yuka : Assorted Premium Orchids in a vase [VASE316] - $195.00 : Hanamo Florist Online Store, Vancouver, BC, Canada, Quality arrangements using a plethora of the freshest flowers. Long Lasting! Approx. 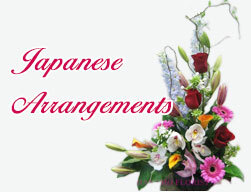 height : 28 - 30 inch, different types and colours of assorted fresh cut Orchids elegantly arranged together in a quality 12 inch quality tall glass vase. Sample picture shows $195.00 arrangement with Oncidium (Yellow), Phalaenopsis (Pink), Cymbidium (White, Burgundy & light Green). Actual flowers for your order may come in different colour combination, available from $125.00 (less flowers than the sample photo). Please contact us if you have preferred colours.